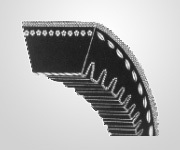 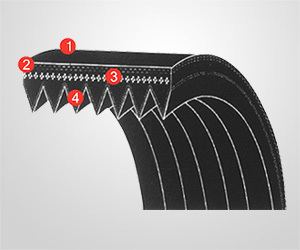 Rubber V-ribbed belt is the combination of merits of both V belt and flat belt. 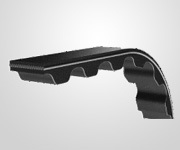 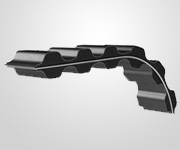 It got not only the soft and tenacious features of flat belt but also has compact and high efficient merits of V belt. 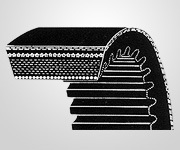 High transmission efficeincy under the operating environment of high-speed rotation, reverse flexure, small band pulley, etc.